This studio kit comprising two Quadralite Up! 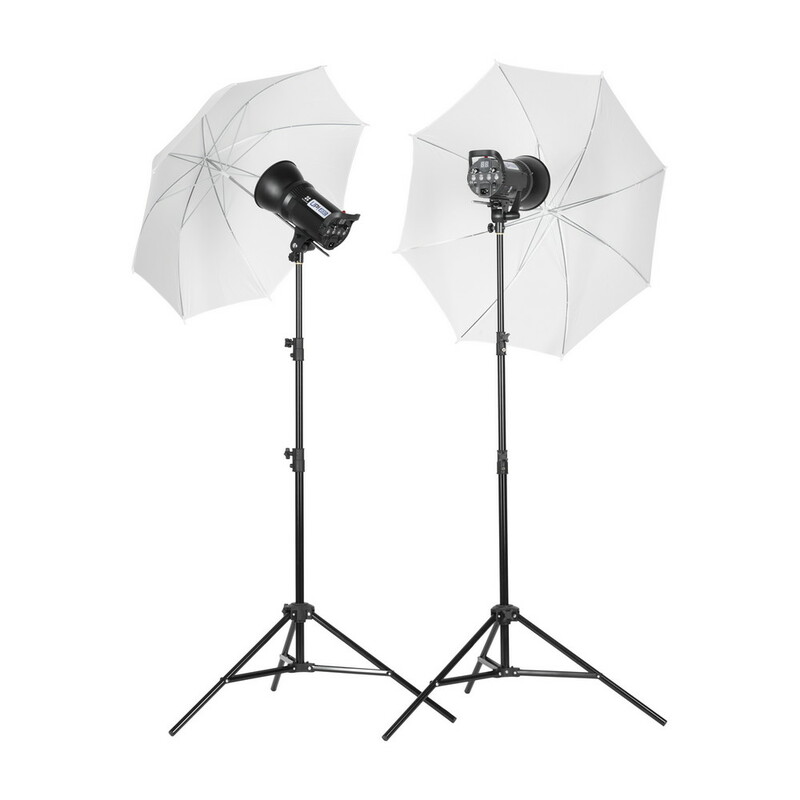 200 flashes with the power output of 200 Ws, two 200 cm tripods and two white transparent umbrellas. 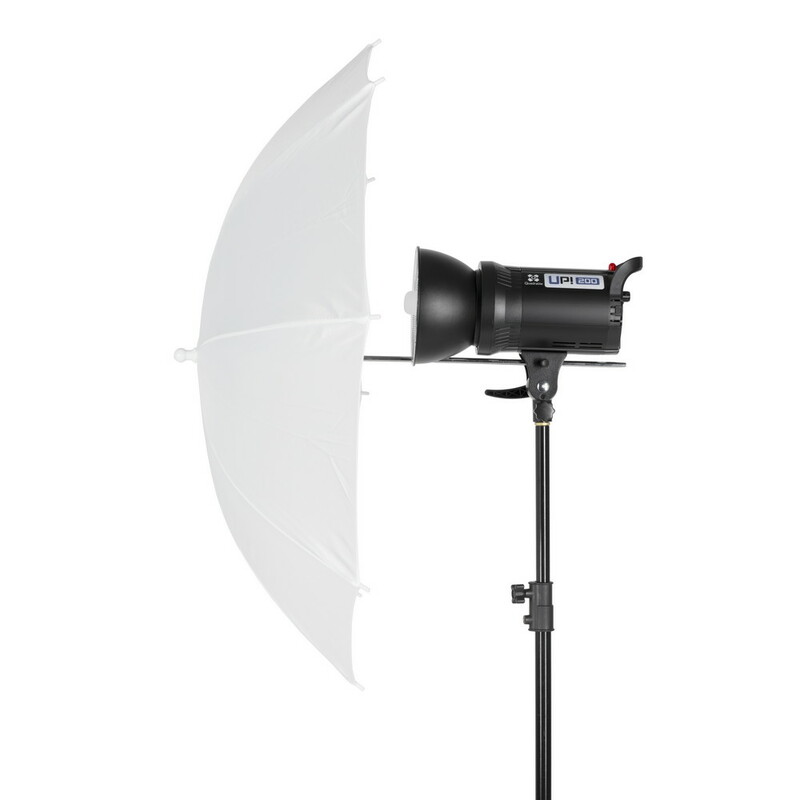 With this set of equipment you will be able to easily take striking images and taste the studio photography. Quadralite Up! 200 is a light and handy studio flash designed mainly for photography enthusiasts willing to embark on a new adventure in studio photography. They will also come come in handy for professionals using more advanced studio equipment. Quadralite Up! 200 provide a wide range of photographic options. Owing to a built in Bowens S bayonet, the flashes may be used with a full range of Quadralite light modifiers. 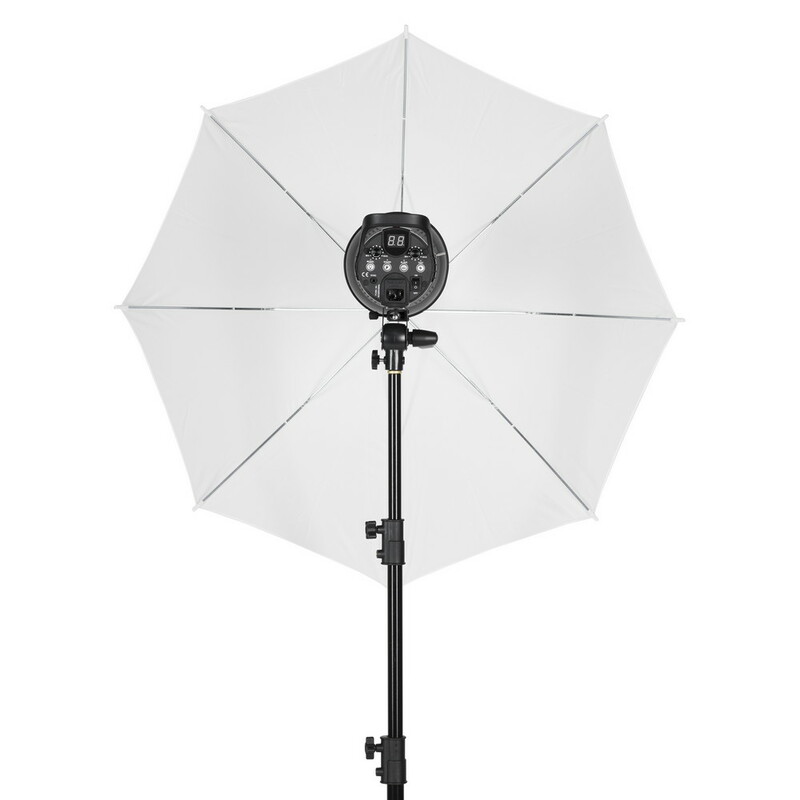 Compact sizes and low weight facilitate operation of flashes in studio environment. Flash output may be adjusted within the range of 5.0 to 7.0 in 20 steps, at 0.1 increments (4EV, 1/1 – 1/16). With the minimum output, the flash duration is only 1/2000s, while charging time equals only 0.3s. Quadralite Up! 200 flashes are fully compatible with optional Quadralite Navigator remote control system.